composite restorations. 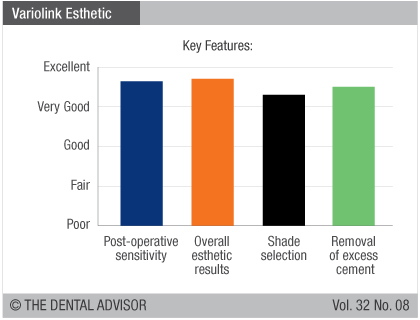 Based on its predecessors, Variolink II and Variolink Veneer, Variolink Esthetic combines features of both and is available in light-cure (LC) and dual-cure (DC) versions. Variolink Esthetic contains the patented light initiator, Ivocerin, which is 100% amine-free for enhanced shade stability. 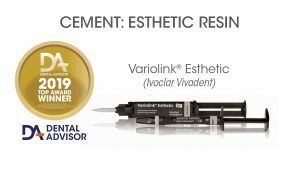 Variolink Esthetic LC is indicated for use with glass-ceramic, lithium disilicate and composite inlays, onlays, and veneers with a material thickness of less than two millimeters and sufficient translucency for light penetration. 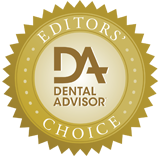 Variolink Esthetic DC is designed for cases in which full light curing cannot be achieved, including opaque ceramic and composite inlays, onlays or partial crowns, and crowns and bridges. Each formulation has five shades available: Light+, Light, Neutral, Warm, and Warm+. Variolink Esthetic LC is supplied in 2 g syringes, while Variolink Esthetic DC comes in 5g and 9g automix syringes. 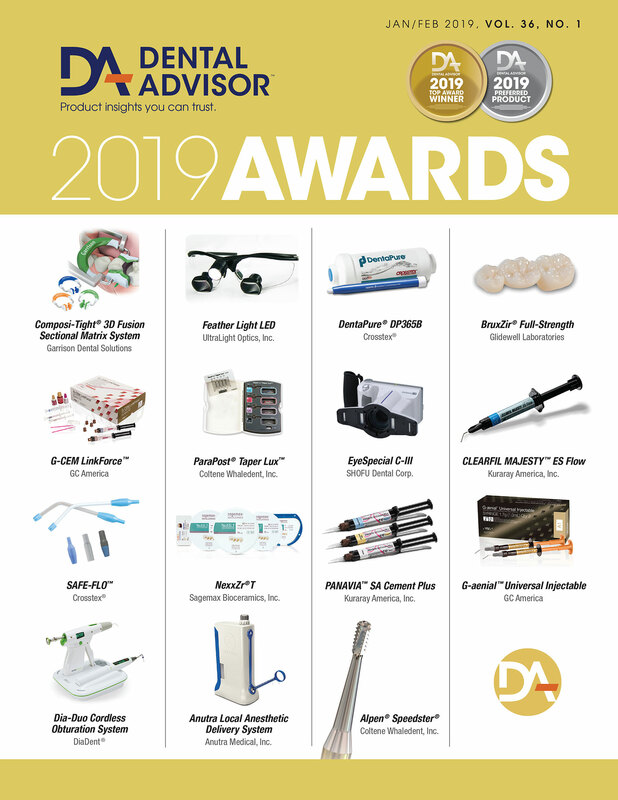 The Variolink Esthetic system kits contain one syringe each of Warm, Neutral and Light cement and try-in paste, etching gel, Adhese Universal VivaPen, Monobond Plus, Liquid Strip, and accessories. 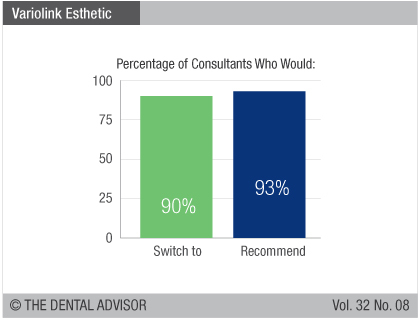 Variolink Esthetic was evaluated by 31 consultants in over 300 uses. This adhesive resin cement system received a 98% clinical rating. Variolink Esthetic is packaged as a complete kit with all of the products necessary for cementation of ceramic or composite restorations. The kit itself is organized with an integrated flow chart, guiding users through the proper sequence and application of the materials to the tooth and restoration. A separate laminated card and instruction sheet give more detailed information. The Light-to-Warm shading system is not based on specific colors, rather it is based on the cement’s ability to slightly lighten, darken or maintain the appearance of the restoration. Try-in pastes are true to the color of the cured cement and are easy to clean off with water. Cement colors are stable after light curing with no shade shift in both the LC and DC versions. Th e viscosity allows complete seating of restorations with minimal pressure, and excess cement is easy to remove before and after light curing.